One of the accessories that the Avanti Inc 3 lacked was a speedometer. Although this is not necessary on a commuting bike, I like to know how long a journey usually takes, and the distance traveled. 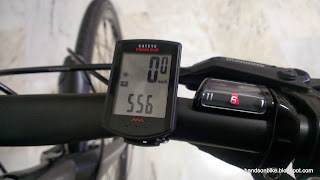 Although the speed is not that important to me, it is also useful to use speed to judge your pedaling effort. This will also help me to gauge the efficiency of the Alfine 11 internal hub. 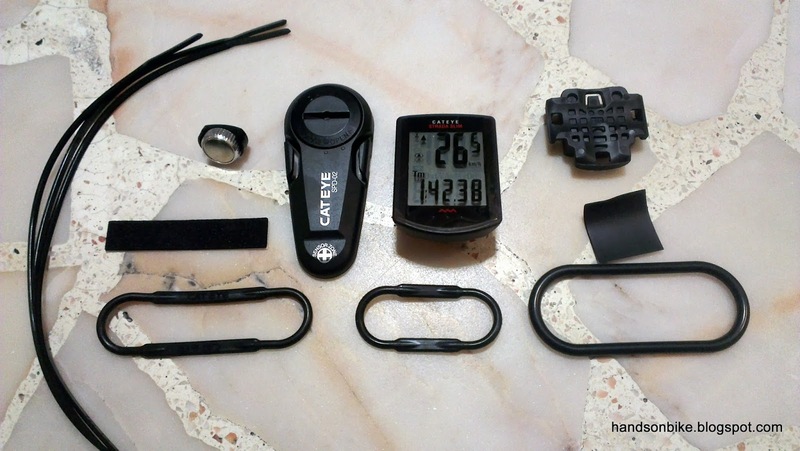 I like Cateye speedometers, as they are very reliable and easy to use. 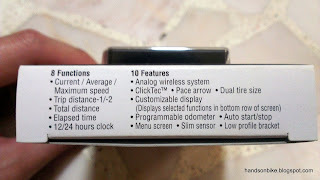 The functions are pretty standard across different brands of speedometers. 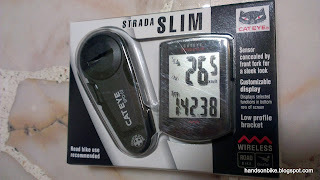 I have been using the Cateye Strada wireless on my bikes ever since my first folding bike 5 years ago, and it is still working fine! The batteries need to be changed about once a year, but that is about all. It just works, and I like it that way. Recently Cateye redeveloped their Cateye Strada speedometer, and came up with a Strada Slim speedometer. It has the same tried-and-tested functions of the original Strada, but with visibly improved appearance and size. Not that the original Strada was big to begin with, but Cateye has managed to slim down the computer unit even more, while simultaneously enlarging the screen! I had wanted to get the Strada Slim for my Dahon Boardwalk, but realised that it would not work as the maximum recommended distance between the sensor and the computer unit is only 60cm, which is too far for small wheeled bikes. 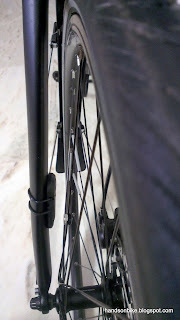 Normally the distance between 20" wheels and the handlebar is more than 70cm. However, this should work nicely on the big wheeled Avanti Inc 3. I always get wireless speedometers as I don't like to deal with excess wiring running around the handlebar and fork. Compact packaging showing everything about the Cateye Strada Slim. 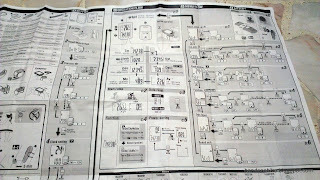 The same 8 functions available. It is possible to choose which functions to hide/unhide when scrolling through the modes! 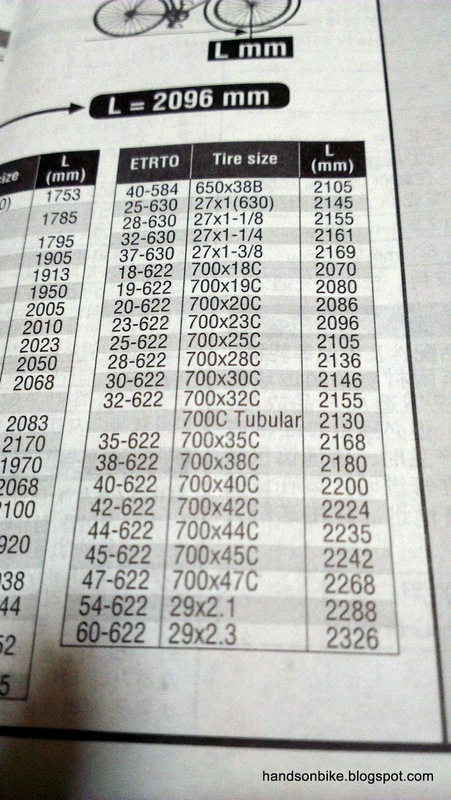 The recommended distances. 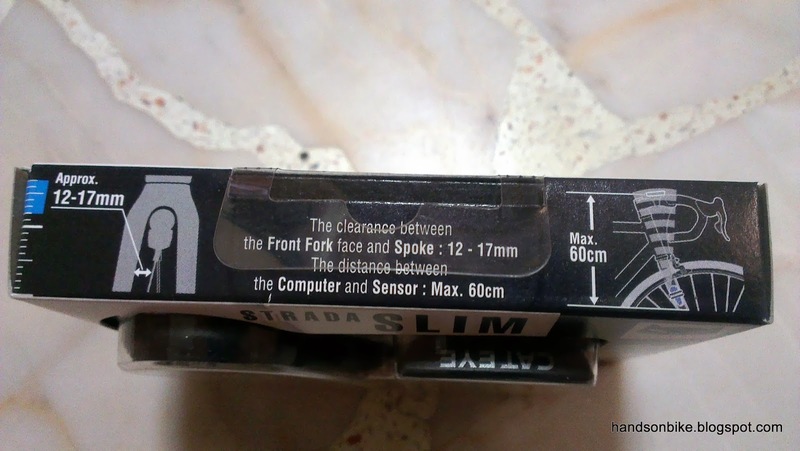 60cm between sensor and computer unit, and 12-17mm between fork and spoke. Cleverly designed into the box packaging. 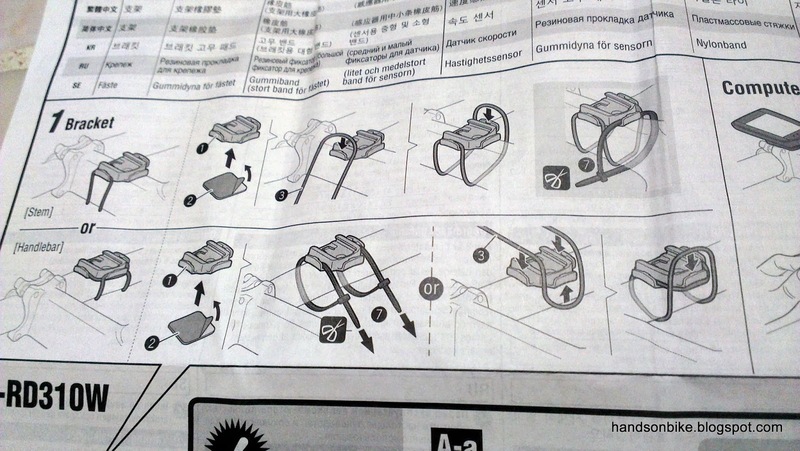 All the parts available in the box. 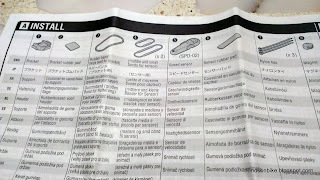 Both rubber bands and cable ties are available, depending on your preference. The different part names of the Cateye Strada Slim speedometer. 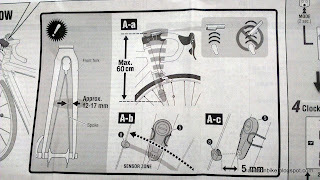 Suggested methods of mounting the computer unit on the stem or handlebar. 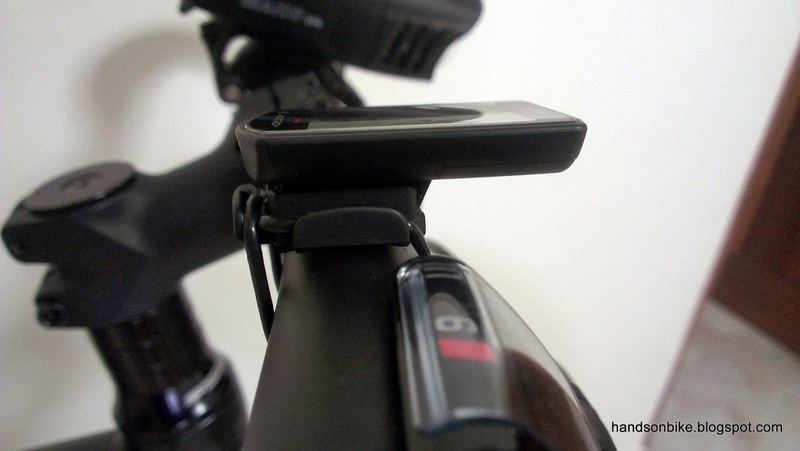 How to mount the newly designed sensor. Now it hides behind the fork leg for a totally stealth look! 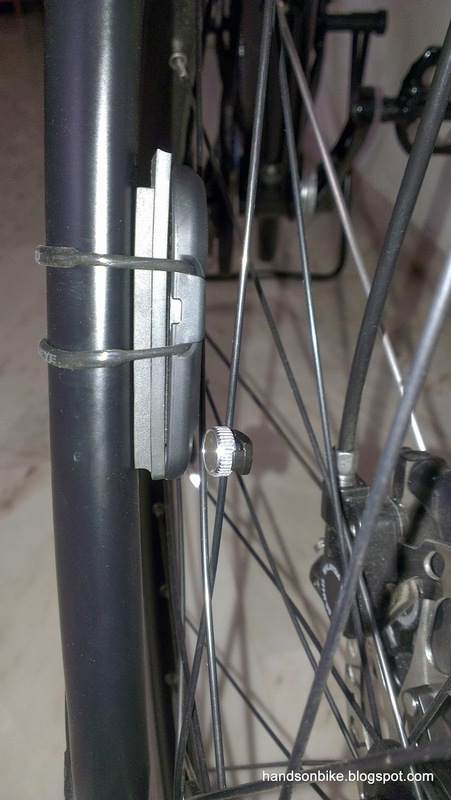 Using rubber bands or cable ties to secure the sensor to the fork leg. 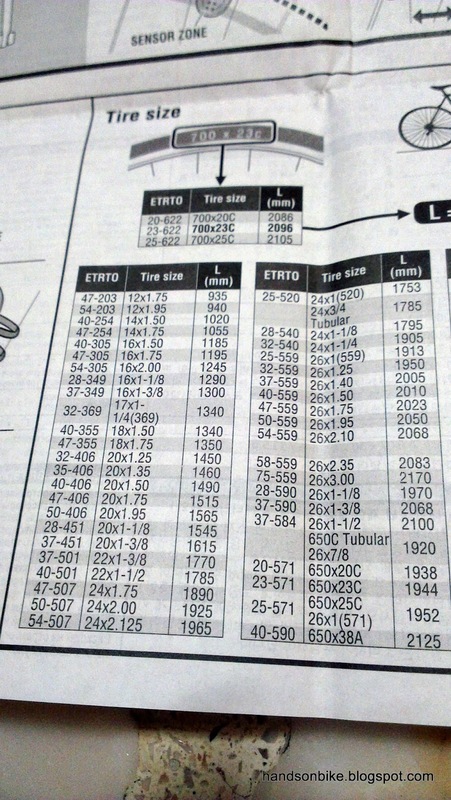 Suggested tire circumference for the different tire and wheel sizes. 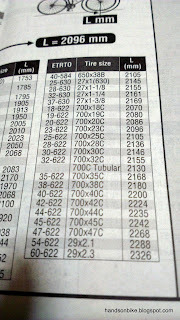 For my 700x32C Schwalbe Marathon Supreme tires, the circumference is 2155mm. 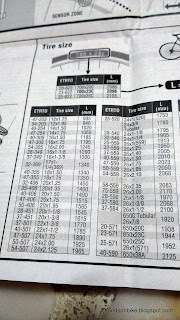 Other tire and wheel sizes are also available for reference. 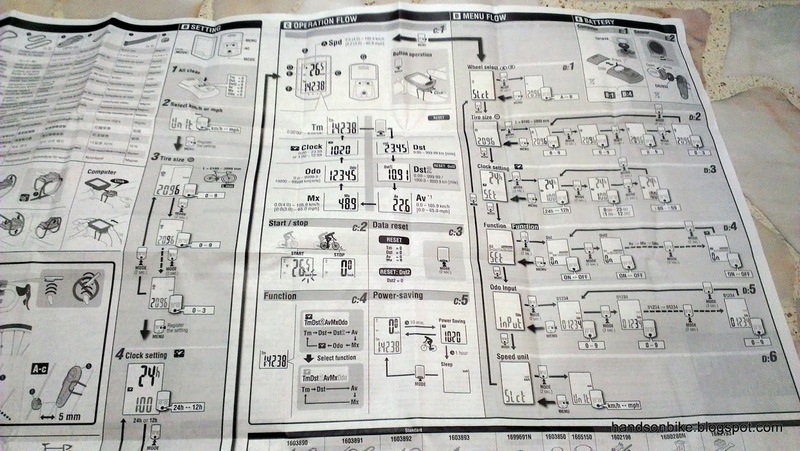 The complicated-looking instructions for setting up the speedometer. 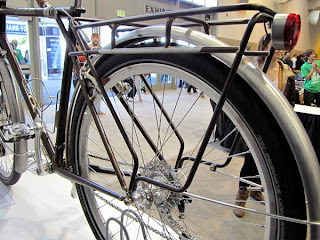 Pretty much the same as the original Strada, but will be daunting for the first time user! 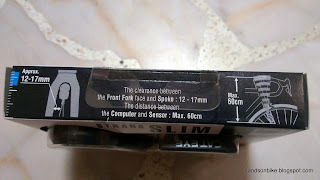 Very slim sensor unit! 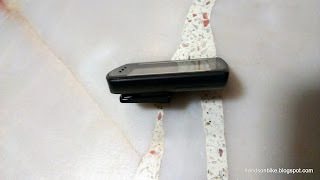 Uses 1 x CR2032 battery. Slightly slimmer computer unit. Now it uses the uncommon battery size of CR1616, which I think will be harder to find. First try at mounting the sensor. 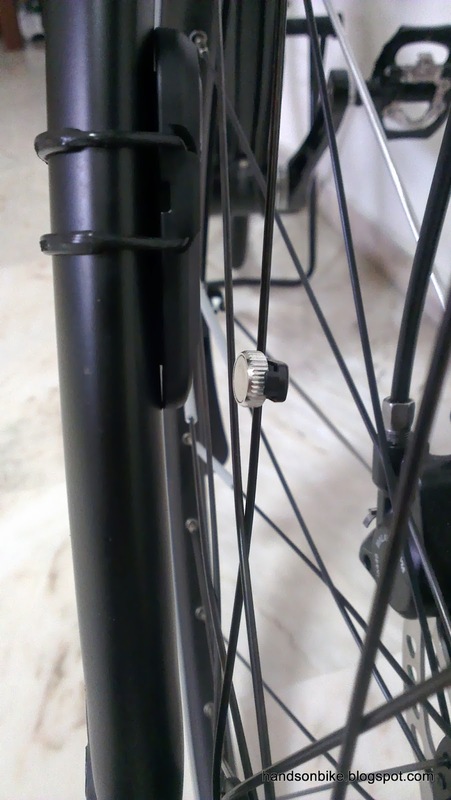 The sensor is too far from the magnet on the spoke! 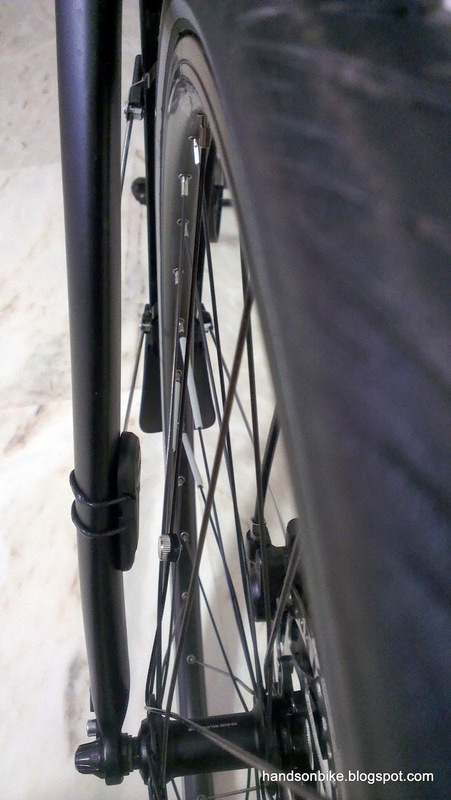 This is due to the wider clearance in between the fork, for installation of wider tires and fenders. Even moving the sensor closer to the front axle does not put the sensor close enough to the magnet. 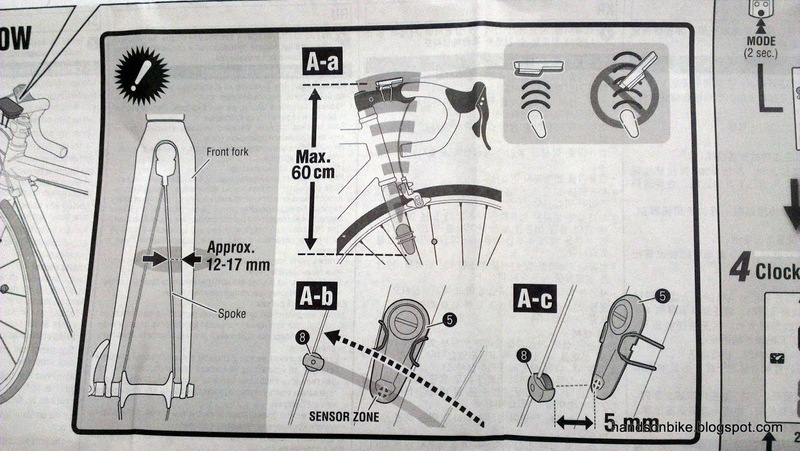 The recommended maximum distance is 5mm, and the gap seems to be more than 10mm. The only way to make it work is to move the sensor closer to the magnet by using rubber shims. 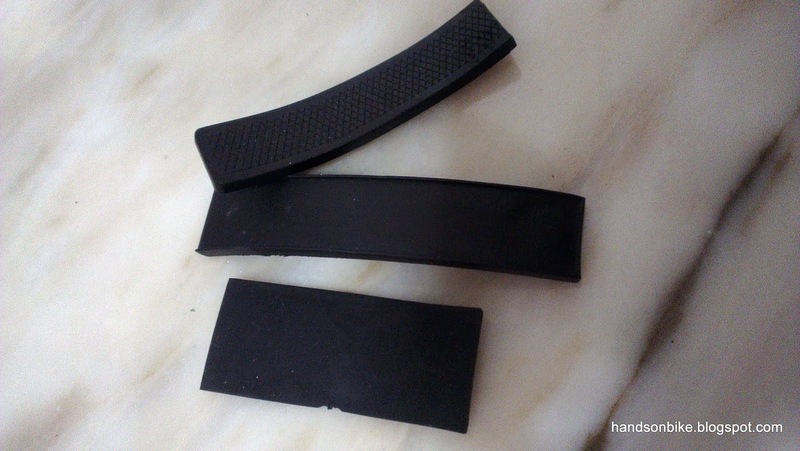 With 2 rubber pads, the sensor is now close enough to the magnet! Unsightly, but since it is hidden behind the fork leg I think it is OK.
Nicely located next to the Alfine 11 shifter gear display, for easy cross-referencing between gear and speed. Clear and large numbers on the display! Looks really good. Slim side profile of the computer unit. Currently secured using the rubber band. 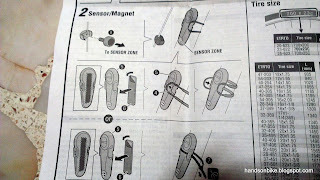 Installation was quite easy, apart from the fact that the sensor was not close enough to the magnet. That was because I did not check the clearance (recommended distance is 12-17mm), but luckily I could solve the problem easily using rubber pads. The large display is really nice, and it really makes a difference for me, after being used to the smaller display on the original Strada. Another difference I noticed is that I need to press the speedometer to start the tracking, whereas it started automatically on the original Strada. I believe that this is to save power on the computer and sensor, as they will not need to keep searching for signals even when not in use. 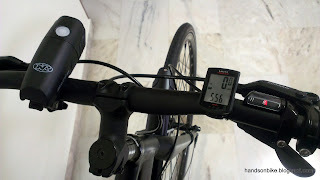 With this speedometer, I can get useful information about the distance traveled and the cruising speed. 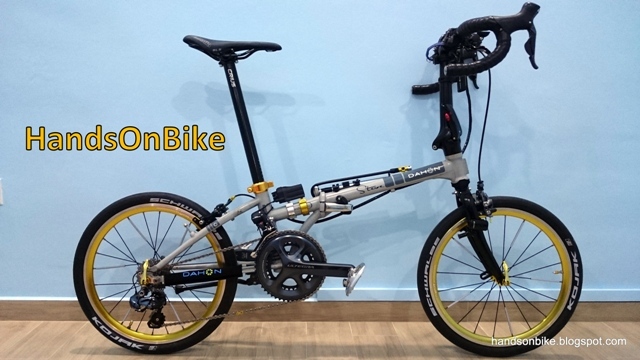 I find that the comfortable cruising speed of the Avanti Inc 3 seems to be similar to the Dahon Boardwalk, at about 26-28km/h. At the same riding speed, the cadence and pedaling effort feels very similar. However, the Avanti seems to be more comfortable and smooth, probably due to the larger wheels and generally more comfortable riding posture. I have the same concern as you on the limitation of 60cm when I am deciding to buy or not, as I am going to mount it on my Tyrell FX, which is slightly more than 60cm. 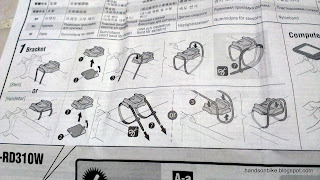 Then I did an extensive research online and finally found one Japanese guy managed to get it to work even beyond 60cm. 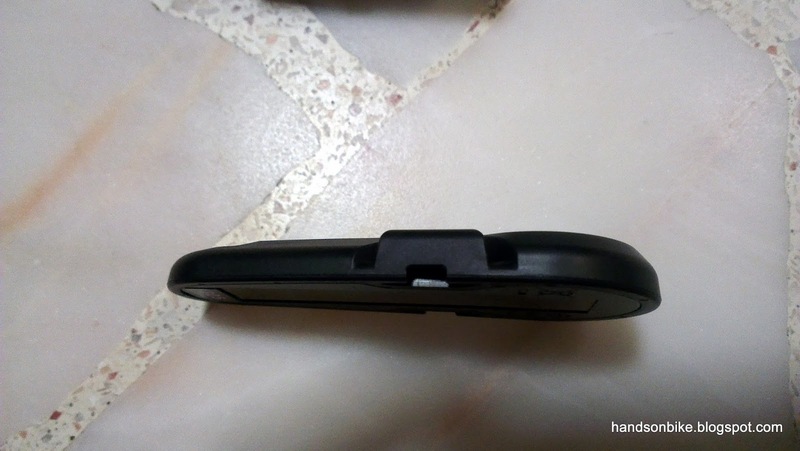 After I bought it, I tested that it can actually still work at 70cm. I think the max is 75cm, can't remember. Thanks for the info! Good to hear that the range is actually further than recommended. However it might not work properly when the battery gets weaker and the signal range may be reduced. 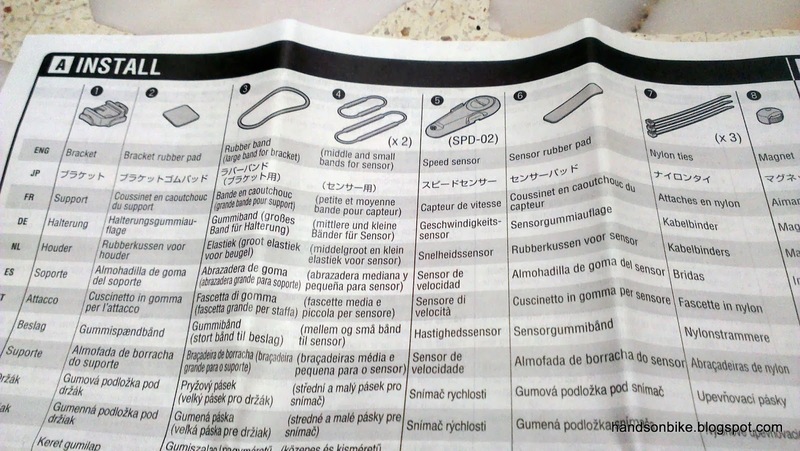 Worked for me, I also put rubber shim at the back of my sensor. 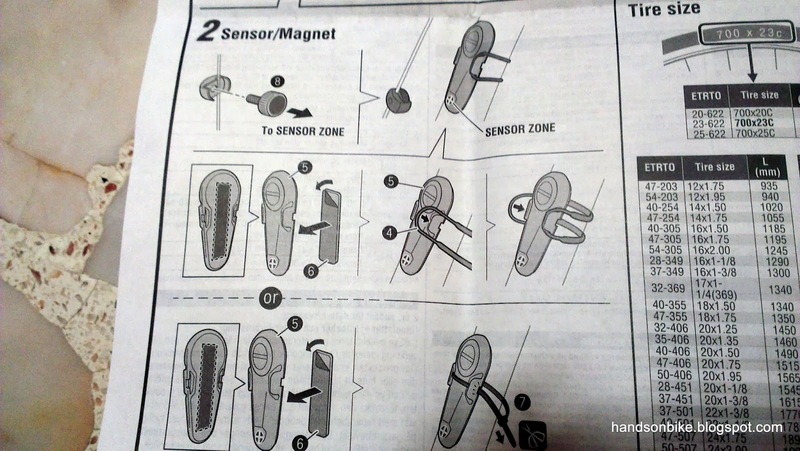 to make the sensor and the magenet more close. the speed reading is better.